To introduce young people to the performing arts; encourage cultural development through public performance; and to inspire young dancers to learn and strive for excellence in technique, self-discipline, self-confidence, and artistic expression. 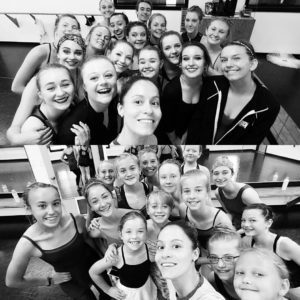 In 1997, Elizabeth Fernandez, Executive Director and Founder of Rocky Mountain Dance Theatre, had a dream when she returned home to Cody after college graduation that went beyond just a dance school. She wanted to bring culture and professional dance experience to her hometown for not only dancers but the whole community. Over the past twenty years this dream has become a reality and only made possible by grants, donors, and sponsors. Rocky Mountain Dance Theatre, a 501(c)(3) public charity, has delivered dance instruction and pre-professional performance experience to over 2000 boys and girls.